You shouldn´t be trying to irritate anyone in your life, but the barber is surely at the very bottom of that list! 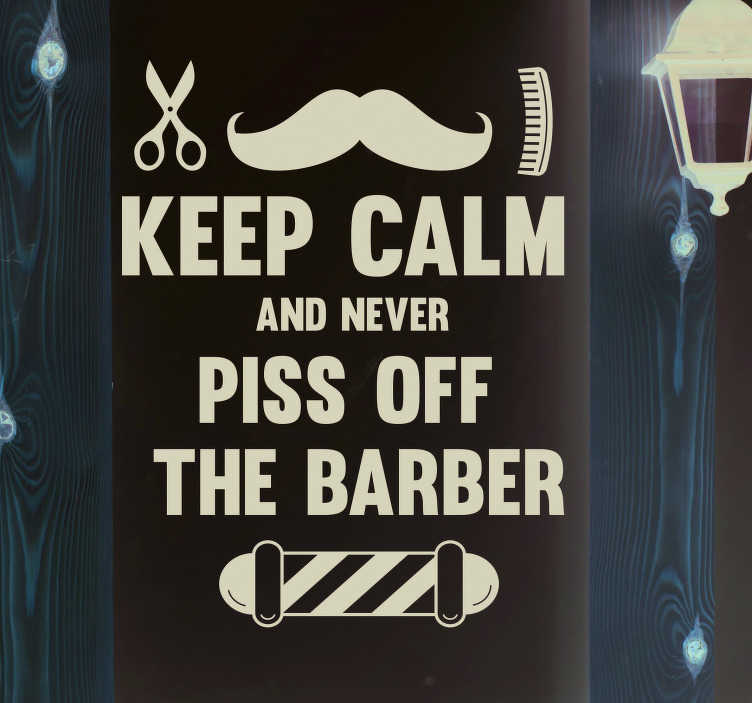 That is why this humorous wall sticker is absolutely ideal shop decor for those Barbers who wish to have a little fun! Remind all your customers that they must be nice to you!